Fig. 46. Detection options toolbar: Sensitivity and Interval. Retrieval session. See figure 47, in the next section. The Replay button restarts an excerpt of video. Frame pauses the video. Click again to see the next frame of video. Fig. 47. 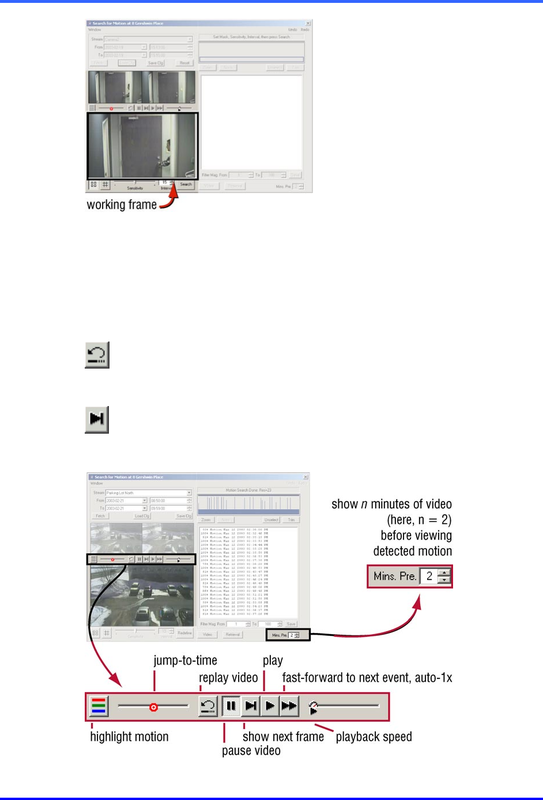 Buttons on the video toolbar of a Motion Search session.